Autocheck vs Carfax which is better? What one thing you must do before purchasing a used car? 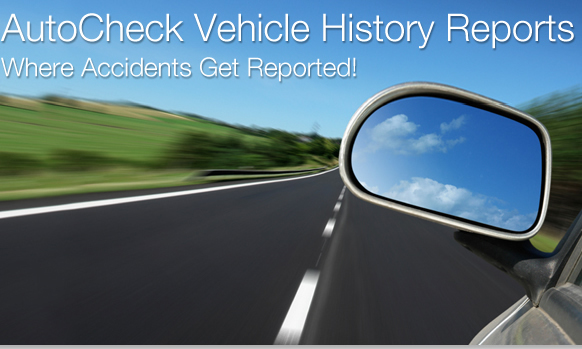 Well if you are purchasing a used car be sure to check its vehicle history. If there has been a accident with the car. If car's title is free of any problem like lean, lease etc. If car's title is reporting salvage(theft etc.). If there has been any tampering with odometer of car. If car was in flood, fire hurricane or in any other natural disaster. In addition to above you can know total number of owners, total odometer reading service records, any frame damage etc. How to Check vehicle history? There are two popular services available in market AutoCheck and Carfax.They both are working heard to collect data, spending a lot of money using a lot of resources, collecting data from government offices, insurance people, credit history and what ever evil and good they can do they are doing to stay in market.